We’re back after a bit of a hiatus – it’s been hectic at Cable Girls HQ in the last few weeks, so grab a cuppa, get comfy and settle in for a bumper edition of our favourite things from the last couple of weeks. 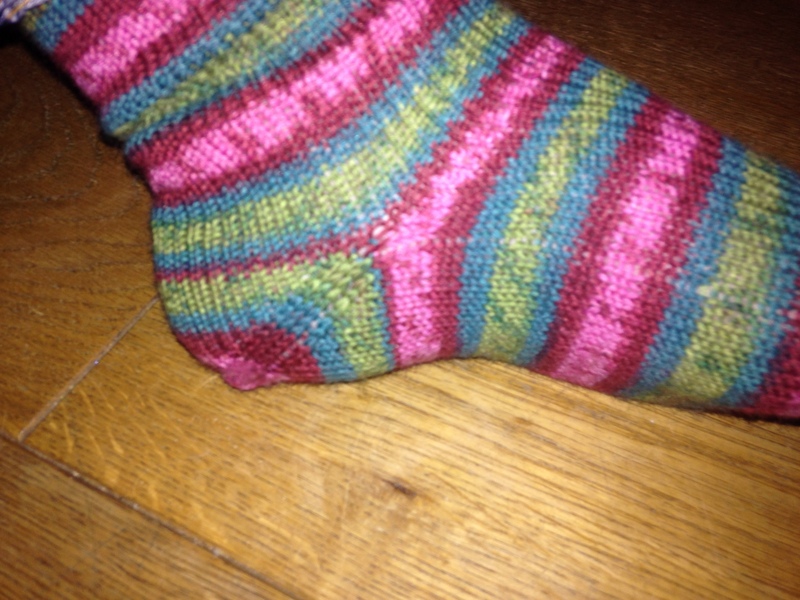 Sheila’s afterthought heel for #SOCKTOBER, (c) The Cable Girls, 2015. 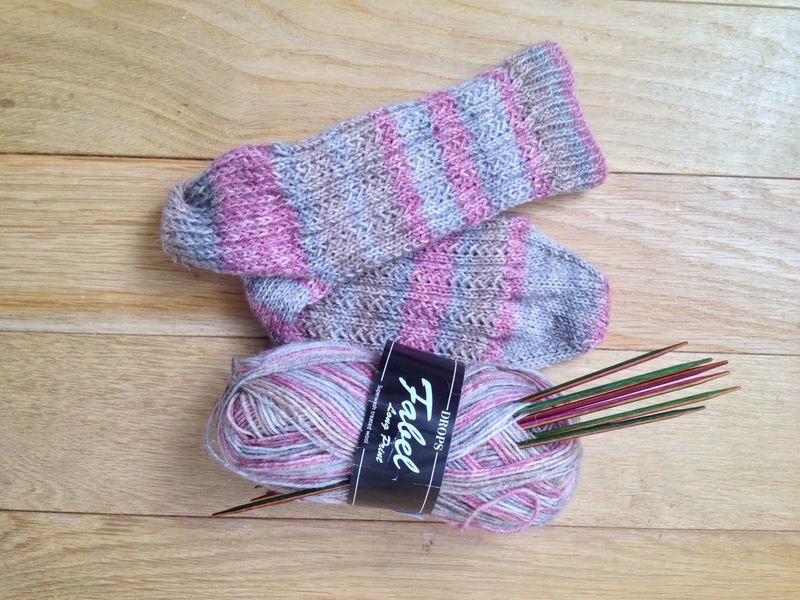 Sheila’s started off well with her #SOCKTOBER goal to try new ways of knitting heels – her first attempt at afterthought heels is above and she’s cracking on through her list – the fish lips kiss heel is next and we can’t wait to see her finished socks. Kate’s Simple Skyp Socks with her beloved Knit Pro DPNs, (c) The Cable Girls, 2015. Kate’s goals are to finish the prototype of the pilates sock with grippy bits (if it works out you might just see the pattern here soon! ), finish up a Simple Skyp sock that’s been lurking a while (second sock syndrome – in the picture above) and to cast on and finish the second of her Kalajoki socks (sensing a theme yet?). Hannah’s aim is to finish her current sock, although we suspect that more than one pair will be done this month now that she’s back from her honeymoon! It’s great to see all the socks being knitted for the #gbsocksawaykal – including lots of first socks! We love the idea of “Knitting In” from Knit Luck – when things are getting stressful, knit it out – it’s what we do! Woolythyme’s Axis shawl is amazing – love the orange and grey together! And this was our favourite Pin of the week, in honour of Sheila’s Socktober goal.